Unleashing a furnace of melodic might and invention with their debut album Descent To The Underworld, Raven Lord has given classic metal a shot of adrenaline and traditional passion which reaches far beyond just the fans of the genre. Consisting of six of the finest rock musicians with a pedigree and experience to match, the Csaba Zvekan formed band combine power metal and neo classical influences with their heavy metal heart for a towering encounter in sound and album. Taking full use of the opportunity and pleasure to talk about the band, album, and his inspirations with Csaba, The RingMaster Review looked at all things Raven Lord. Hello Csaba and thank you making time to talk with us. Raven Lord is arguably a ‘supergroup’ with the pedigree and experience of its members. Started by yourself what is the history before and build up to the band? Thank you and indeed that was the idea. To have a band with experienced players who have been around the block and played some high profile shows before. I was looking out for players who would fit the RAVEN LORD code that I had in mind. After leaving KILLING MACHINE in March 2011 I was all ready to go to make some more Heavy Metal. All I needed is to write a bunch of songs with a release so we can start playing shows, so the idea. Just for the record can you give the current line-up and their band history as I believe the personal has changed since the album? The current line-up is JOE STUMP on lead guitars. Joe is known for his superfast shredding technique and has been working with bands like HOLYHELL, REIGN OF TERROR and of course his solo career. GEORGE KARAFOTIS plays rhythm guitars for RAVEN LORD and also for his other band called VERMILLION DAYS. JAMIE MALLENDER is our bass player and he is best known for his work with EX-BLACK SABBATH’s singer TONY MARTIN. ALESSANDRO DUO plays all keyboards and is also active in a band called VOODOO HIGHWAY. Then we have RICH SMITH with us playing drums who previously played for POWERQUEST. And I was singing in bands like KILLING MACHINE, STREAM, SARDONYX, ROUGH ANGEL and EMERGENCY. Was there any specific intent or purpose when starting Raven Lord? Yes, my main idea was to play festivals all over Europe and become a touring band. For that we needed a release of a CD. I never thought that this product would receive so much interest from the press, fans and listeners. From an arguably bland stance for heavy metal in recent years, Raven Lord is the proof that actually it is vibrantly alive and kicking. Do you feel outside of the band it has been lacking a spark as a genre for a while now? Must be a true fact as this is not the first time somebody mentions this. We get this question a lot and feel that the true and pure heavy metal seems to be a rarity these days, almost as if it is reserved to be played by the “biggest in the business”. Instead it’s the music we grew up with and the genre that started all of this to begin with. Also there seems to be a void in all this as newer bands try to go a different approach. RAVEN LORD can act to patch up the need for this type of music. I believe the band took a while to get going and emerge, took time to become an active project? The first record did take more time than originally intended. I think that is normal under the circumstances we were in. Looking for the right player took some time. Also producing the right music and arranging what I had in mind. Truly I believe the band now knows what sound we play and what our goals are. This wasn’t always the fact. So the next RAVEN LORD album is already in process and shouldn’t take that long as the first one. What are the major influences which have helped define your ideas and the band’s sound? There are so many influences all and each of us have. We have been compared with the biggest names in metal. As for the vocals and overall sound I’m strongly influenced by Dio, Black Sabbath, Judas Priest, Malmsteen, and TNT but also with singers like Ian Gillen, Glen Hughes and even Chris Thompson. You linked up with Axel Wiesenauer, a man who has been very kind to The RingMaster Review, from ROCK’N GROWL promotions before the band became a reality, how has his help and expertise impacted on band and its progress to date? This is very simple to answer hahahaha. Without Axel from ROCK’N GROWL there would be no RAVEN LORD. No band name, no band logo, no artwork, now producer, no record deal absolutely nothing. I cannot say enough thanks to this man who I call the 7th band member. He might be not on stage with us visibly but he sure is with his overall work and dedication for the RAVEN LORD concept. You have just released your excellent debut album Descent To The Underworld, an accomplished and imaginative slab of classic metal. I get the impression the band members are not local to each other so was the album an internet spawned release or did you find time to get together for a studio adventure? At one point at the very end of post-production we almost got together for the final mix down in Gothenburg, Sweden. Unfortunately it didn’t happened. So the very next event is rehearsals around June 7th that’s when we come together for the very first time and shake hands and meet as a band. The recordings were done all spread out at every band member’s home country. This has some major advantages in time management but also had a few drawbacks. I would do it again for pre-production as it saves a lot of time. But for the recording and post production I prefer to go to a bigger studio and work with a producer on site. Let’s not forget that this is all depending on how much budget is available. On the first record we didn’t have a budget. We still managed to pull things off with recording the album in our home studios and then had it mixed with FREDRIK NORDSTROM in Sweden. Later we gave it a good polish in the mastering studios of MAOR APPELBAUM in Los Angeles. Both engineers were doing an excellent job! Recording albums without losing any unity or technical craft using the internet and various computer programmes to transfer and translate files seems the way some music is heading. Do you feel that there are negatives to this which will never evolve the same results as a band being together in person to either write or record? There are a few negative drawbacks. In particular for the producer to interact immediately with the player who comes up with some recordings and perhaps it’s not liked. So then things would have to be discussed and rerecorded again. This of course is double work for the player who is involved. Sure it is more efficient time wise if you produce the record on site. The other thing is engineering yourself was never a good thing. You might be over picky with yourself. Making endless takes or quite the opposite thinking it is good enough. That’s where an engineer and producer are valuable to the outcome of the product. At the end of the day it’s still a budget issue. Can you tell us about the album and its songs; is there an underlying theme across Descent To The Underworld? All though it’s not a concept album as many believe it to be the majority of the songs have to do with life and death. And since it’s a debut album and “Black Friar” describes the band name RAVEN LORD in a fantasy story. So I didn’t want to use the very same song name as the album title. Instead I describe “Black Friar” with a different title, hence “Descent to the Underworld”. And the very same title seems to work just fine with the rest of the songs as well. What has inspired your songwriting and lyrics the most for the album? Life, nature, people, animals, the whole cosmos as a one working organism. And where there is life there is death. It’s an endless cycle of birth, death and rebirth. Forever! You see I believe we have always been and will always be. As the energy is never lost it only changes form and appearance. And even if the whole galaxy would collapse in a black whole tearing us up in billion pieces we would be reborn in time again. But there is always the inevitable “end of things” which actually marks a new beginning. What is the songwriting process and how does it work for the main within Raven Lord? For the first record it was quiet difficult to create something that only I knew how it should sound. The players didn’t always know what I had in mind. It needed some explanations first. Now that we’re working on already new songs for the second record it’s much easier to follow that style. The routine would be like with many metal bands I worked with. The guitar players come up with some riffs, I then would piece them together so the length with the vocals can fit. Changing some chord progressions so I can fit my desired melody that I have in mind. I would also sing some riffs to give it the initial spark and occasionally I would record guitar tracks on my own and hand it to the guitarist to work it out in a more detailed and better fashion. The rest comes from all of the RAVEN LORD members with their individual styles and melts into this shiny slab of metal. Now finished in all its glorious and thunderous presence, is there any part or moment of Descent To The Underworld which gives you the biggest personal thrill or tingle inside? Yes, I am amazed by all these positive CD-reviews. Never expected this. I mean I’ve been doing this pretty much all my life and now of a sudden it’s the new “masterpiece”, “best record in decades”, we’re being compared with top metal bands and that is just overwhelming. We must be doing something right! Anything in it which, not that you would change or could have done better in hindsight, but has sparked fresh ideas to explore in your next recording? Oh yes hahahahaha. I am so looking forward for the sequel of the record as there is so many more stories to tell. Believe me. Life gives me inspiration on a daily basis. And it can do it for anybody. Simply stop what you’re doing for a minute open your eyes and inspect your world around you. Have the songs on the album all come fresh to the band and release or are there some parts or ideas which have seeds in your previous bands and projects? All the songs are brand new and have been made exclusively for RAVEN LORD. I like new fresh ideas. No need to reuse old ideas if we can do them “new”! The album is released via Mausoleum Records, how did that link up come about and there is a second album planned with the label? Again, the whole credit goes to Axel Wiesenauer who is our general manager. He worked out the two-album record deal with MAUSOLEUM RECORDS. The label boss knew some of us from previous bands and liked the product so they picked it up. There were other offers from other labels. But I didn’t want to pass on a label like MAUSOLEUM RECORDS that was celebrating 3 decades of Heavy Metal success. What comes next for Raven Lord, have you live shows or tours in the works? Yes, RAVEN LORD is growing very rapidly and I started booking us some shows on my own. Until someday I realised the workload is getting too much. I asked for help with a very professional booking agent who now is working to get us on some festivals in Europe. Later this year around October we should announce our first EU/UK tour. One big festival is already confirmed in Tongeren, Belgium. It’s the R-MINE METALFEST 2013. We’re going to be playing the main stage Saturday the 22nd June 2013 with bands like Symphony X, Rhapsody Fire and Hell. This is going to be a blast. There will be even more shows confirmed this summer so stay tuned and check our website periodically under www.raven-lord.com or even better like or Facebook page at www.facebook.com/ravenlordmusic. I will admit before hearing the album I was not sure about the band name but now having heard your sound and release it is the perfect fit to the shadows and ominous, slightly classical breath of certain elements and the heavy metal sound overall. Was there much deliberation over the band name and how it should represent the music? It’s amazing how things fall into the right place with RAVEN LORD. I felt the same way when we brainstormed about band names. Did not like the name at all at first. After I investigated the Raven as a bird and it’s meaning in mythology I was inspired instantly. It’s the gothic, dark, Middle Ages look that grabbed my attention. And with the neoclassical musical background, logo and lyrics it gave even more persona. Suddenly it was all making sense. Just as if a hidden and invisible force would put all these things together for us. Maybe that’s really how everything is. Many thanks again for taking time to talk with us, any last words for readers and fans? 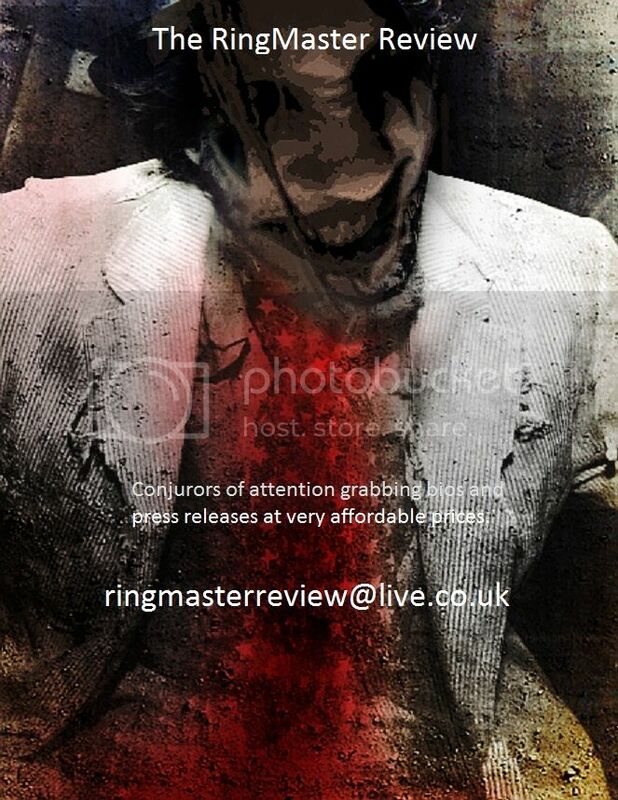 Thank you so much for this opportunity to make such an interesting interview with RingMaster Review. Also thank you for your great CD-review earlier. We thank the readers, our fans and supporters for this successful release. It’s because of all you out there that we’re making these things happen. Come meet and greet us on festivals near you! Finally what are the songs or albums you would go back in time to create first and grab all their credit for? This entry was posted in Interviews, Music and tagged Black Sabbath, Chris Thompson, classic metal, Csaba Zvekan, Descent To The Underworld, Dio, Glen Hughes, Heavy Metal, Ian Gillen, Judas Priest, Killing Machine, Malmsteen, Mausoleum Records, RAVEN LORD, RingMaster Review, ROCK’N GROWL, TNT.